Instagram has long been a mobile only service, if you wanted to interact with an image you’d have to launch the mobile app and use it there. Recently there have been a couple of apps released for Chrome that allows you to emulate the mobile site within the Chrome browser. The wait is now over, Instagram has released the image feed to the browser that lets you browse and interact with your feed. 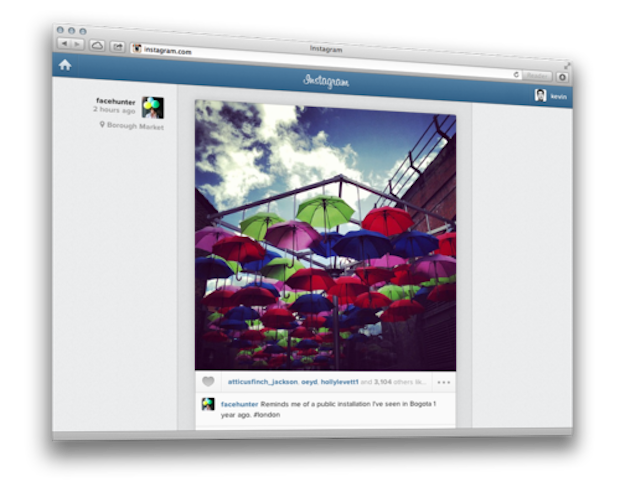 While I believe that Instagram having their site enabled on the computer, mobile will still be their focus point. I don’t think we’ll see picture uploads coming to the browser website and will still be focused directly on uploading on the mobile site.